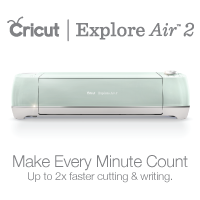 The Non-Crafty Crafter: Which blades work with the Cricut Explore? This question gets asked a lot and I often see posts from people who've purchased the incorrect blades or score tools for their Explore. 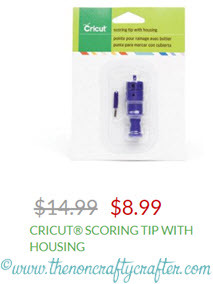 So I've put together some info that will hopefully help when you're next looking for replacement blades for your Cricut Explore. 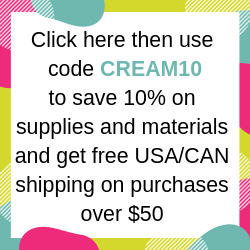 If you purchase from the Cricut store (links below) make sure you use my discount code NARELLE to receive 15% off and free USA/Can shipping. 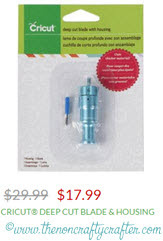 The Cricut Explore comes with at least one German Carbide blade. 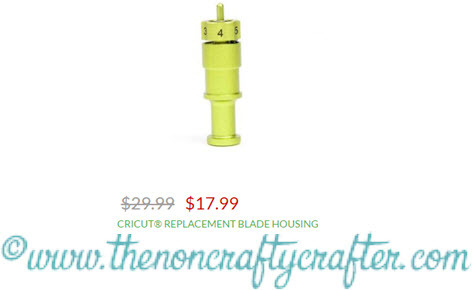 The German Carbide blade has a longer cutting life span than the regular Cricut cutting blades. 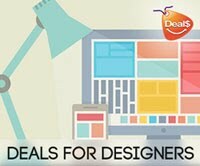 However, both work in the Explore. The German Carbide replacement blades are available in packs of 1, 5 and 10. 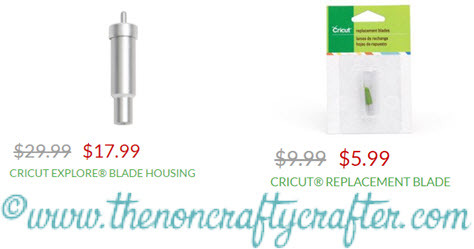 The regular (non-German carbide) Cricut replacement blade is available in a two pack. You must have the deep cut blade housing to effectively use the deep cut blades. The deep cut housing is shorter than the regular housing. This allows thicker materials to fit under the housing as well as allowing more of the blade to protrude. The deep cut housing comes with one deep cut blade. 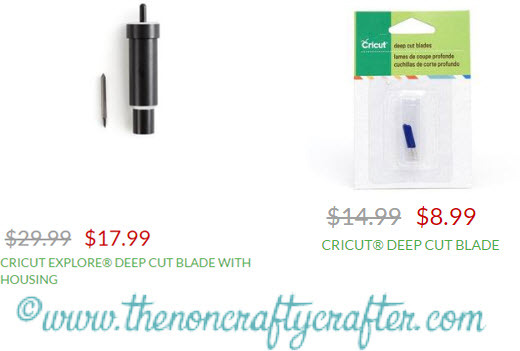 Replacement deep cut blades are available in packs of two. Which blades/housing DON’T work in the Explore? The following only work in the older style Cricuts – Personal, Expression, Create, Expression 2, Imagine and Mini. 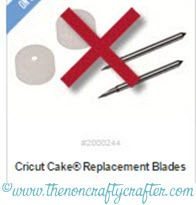 These blades only work with the Cricut Cake models which have both been discontinued. This is the scoring stylus for the Explore. 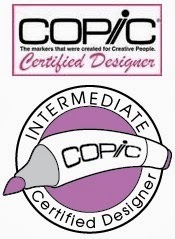 This is the scoring housing and tip for the older Cricuts - Personal, Expression, Create, Expression 2, Imagine and Mini. 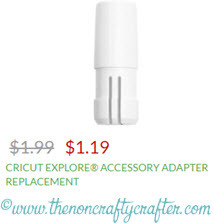 This is the replacement accessory adapter for the Explore. If your pens/scoring stylus becomes loose, remove the accessory adapter by opening the A clamp. Gently squeeze the bottom of the accessory adapter with one hand while lifting it out of the adapter with the other hand. The adapter will pop out. Check the bottom of the accessory adapter to see if any of the plastic pieces have broken. If they have you will need to replace it. Gently push the accessory back into the holder. Hold the bottom of the clamp steady while pushing the adapter down. 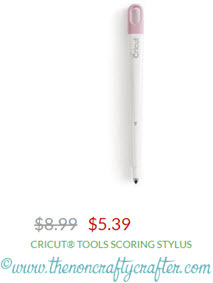 This is the pen/scoring stylus adapter for the Cricut Explore One. 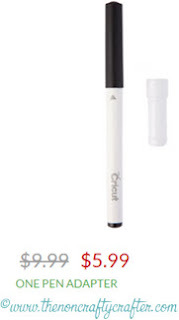 It is not meant for use in the other Explore models however it will fit into the B carriage, so could be used if you wanted to write with two different colour pens. If you are doing that make sure you have your text set to CUT for the layer that will be using the B carriage. This is really helpful. 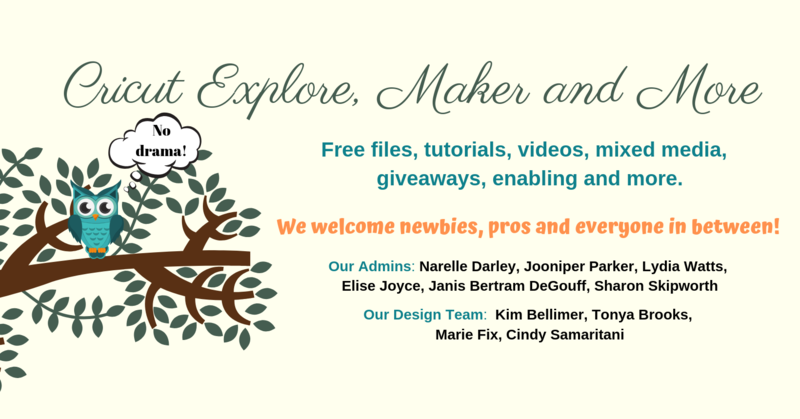 I have a request that you also let us who own a Cricut Explore One know what we can cannot do with the files that you so graciously provide for us and other learning tools we can use with the Cricut Explore One. 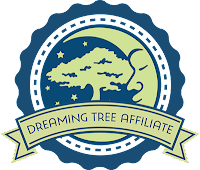 I love all your posts they are helpful.